h+ Media | The Transhumanist Party: Could It Change Our Future? I can personally attest to this rapid transformation. When I taught transhumanist themes in a world-class computer science department just ten years ago, the ideas were generally dismissed by both students and faculty. Now, with drone planes replacing jet pilots, AI and robotics progressing, Ray Kurzweil essentially Google’s thinker-in-chief, the idea of the singularity omnipresent in silicon valley, rapid advancement of self-driving cars, exoskeletons showing promise and more, I do feel somewhat vindicated. No, we haven’t yet reached a technological singularity, and any given prediction regarding the reality and benefits of a future technology is open to the vicissitudes of fortune and a thousand caveats. Still the inexorable transformation of our world unfolds before our eyes each day. Yet although the pace of change is increasing exponentially, many still respond to the unfamiliar with ancient and uniformed dogma wired by genes and culture into their primate brains. This will not do. As we enter into this new world we need brains capable of greater intelligence and morality; we need to evolve; we need to transform. But this can only be accomplished in a social and political milieu that actively promotes the transhumanist goal of using science and technology to overcome all human limitations. I thus applaud Istvan’s potential foray into politics and I think we should support him. Only if we can choose whether to live or die are we really free. 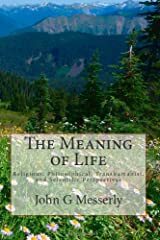 Our lives are not our own if they can be taken from us without our consent, and, to the extent death can be delayed or prevented, further possibilities for meaning [in life] ensue. Perhaps with our hard-earned knowledge we can slay [what Nick Bostrom calls] the dragon tyrant, thereby opening up the possibility for more meaningful lives. This is perhaps the fundamental imperative for our species.